First, the religious targeting of evangelical Christians and moderate Muslims appear to have been inspired by an Islamic State directive issued on June 23 to increase attacks on kuffar, or “non-believers,” during Ramadan. On July 6, suicide bombers killed at least six evangelical Christians during a Sunday service at a church in Potiskum, Yobe State, and a similar attack was thwarted on July 12 at a church in Jos, Plateau State. Jos was also targeted by a mix of Boko Haram suicide bombs and gunfire which killed at least 40 people at a restaurant and mosque shortly after the Ramadan fast had been broken. Notably, the Jos mosque was led by a moderate cleric by the name of Sani Yahaya Jingir who had been outspoken in his criticism of Boko Haram. By ramping up such attacks, Boko Haram appears to be demonstrating its allegiance and operational capabilities to the Islamic State leadership in a bid for further recognition and support. 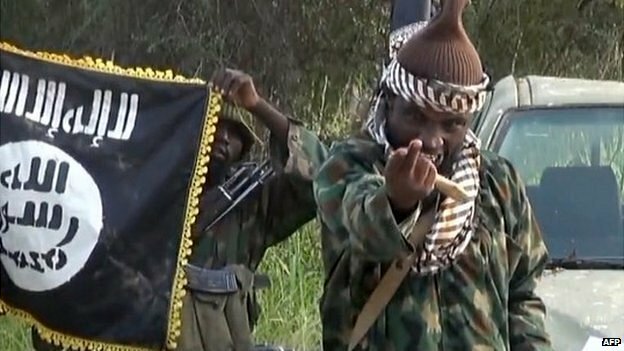 Since its pledge of allegiance, Boko Haram has been referring to itself as the jihadist group’s Wilayat Gharb Ifriqiyah (West Africa Province). Moreover, in a gruesome video of the beheading of an African Union soldier which was released by Boko Haram as the “Islamic State — West Africa Province” in early July, an audio statement attributed to the Islamic State welcomes the expansion of its Caliphate into West Africa. While the authenticity of this video cannot be verified, it appears to reflect deepening ties with the Islamic State, with more attacks on Christians, moderate Muslims and other “non-believers” ahead. Furthermore, by attacking Christians in Plateau State, which lies along the faultline between the largely Christian south and largely Muslim north, Boko Haram may be attempting to incite further bouts of sectarian violence. The recent burqa bans in parts of Chad and Cameroon following suicide bombings carried out by women also help feed the Boko Haram narrative of Muslims being oppressed by the “kuffar” who rule these countries. Indeed, religious violence between Christians and Muslims coupled by forced burqa removals by security forces are ideal recruitment vehicles for Boko Haram, particularly considering the high levels of poverty and unemployment in Nigeria’s predominantly Muslim north. Second, Boko Haram has resumed attacks beyond its strongholds in northeastern Nigeria. On July 6-7, suicide bombers killed more than 60 civilians in Jos and Zaria, major cities in the “Middle Belt” states of Plateau and Kaduna, respectively. Boko Haram also launched brazen attacks on the Chadian capital N’Djamena for the first time on June 15, with twin suicide blasts killing at least 23 people at the police academy and headquarters. This increased geographical scope of attacks has once again defied Nigerian claims of Boko Haram’s impending demise. Following its territorial defeats, the Islamist sect has deftly shifted back to more militant tactics, with underground cells strategically located across northern Nigeria as well as the border areas of Chad and Cameroon. Since the inception of Boko Haram’s armed uprising in 2009, in which over 17,000 people have been killed, Chad has largely escaped militant attacks amid allegations of a kind of non-aggression pact between Chadian President Idriss Deby and the Boko Haram leadership. That all changed on Jan. 27, when Chadian troops launched cross-border attacks on Boko Haram targets with Nigeria’s reluctant approval. Chad, a regional powerhouse which has received extensive U.S. military aid and training, has played a crucial role in French-led counterinsurgency operations in northern Mali as well as the ongoing fight against Boko Haram in neighbouring Niger, Cameroon and Nigeria. Following the attacks on its capital, Chad will likely ramp up its cross-border attacks, with or without Nigeria’s explicit approval, as evidenced by retaliatory air strikes launched on June 17 against Boko Haram camps in northeastern Nigeria. While President Buhari has made a long overdue shake up of the military leadership, the Boko Haram insurgency shows no signs of abating for the foreseeable future. Buhari’s electoral promise to defeat the Islamic State-aligned group may well come back to haunt him, just as it did with his predecessor, former President Goodluck Jonathan. This entry was posted in Africa, Boko Haram, International Criminal Court/ICC, Nigeria, Preliminary Investigation by Alex Fielding. Bookmark the permalink.